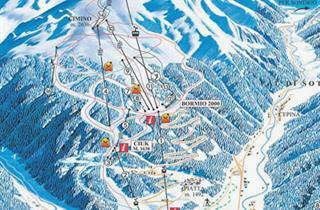 Alta Valtellina valley, which is next to the ultra-popular Livigno, is a fantastic place for a ski vacation. 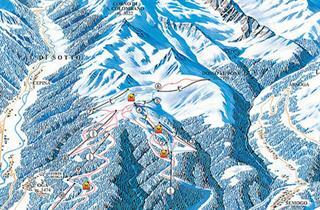 There are three ski resorts in the region, offering a total of 100 km of trails, from 1225 m to 3012 m above sea level. The most famous resort is of course Bormio - a city founded in ancient times, an exclusive resort, competing for primacy with such aces as Madonna di Campiglio and Cortina d’Ampezzo. 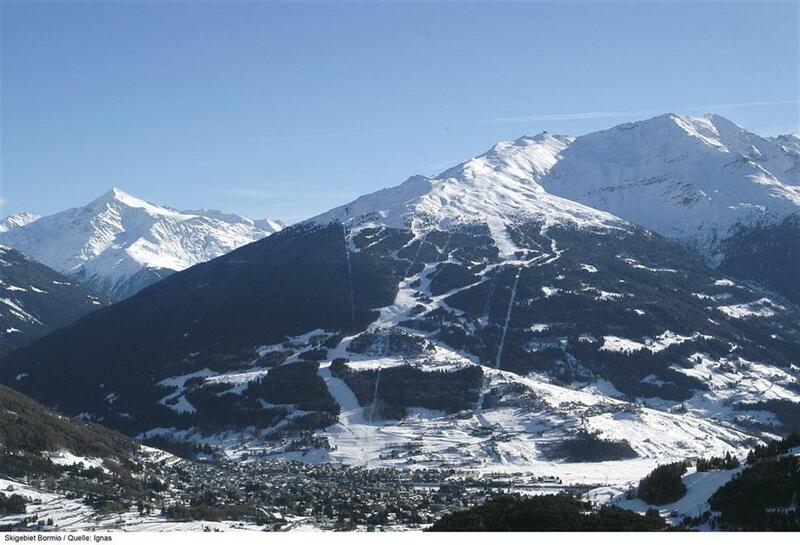 Bormio offers 50 km of very attractive intermediate and advanced trails. 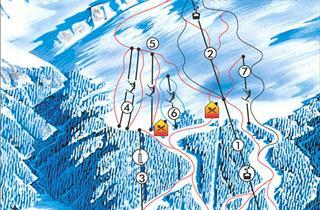 The north slopes provide excellent skiing conditions from early December until late April. The trails, apart from the peak area, go through wooded areas. 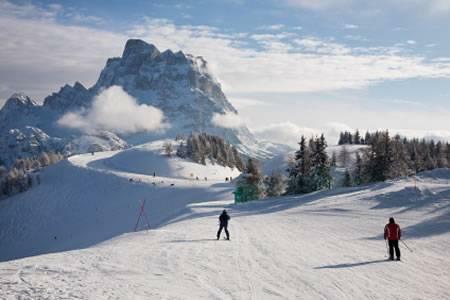 However, they are so wide that skiing is a pleasure, even when there are a lot of tourists on the slopes. 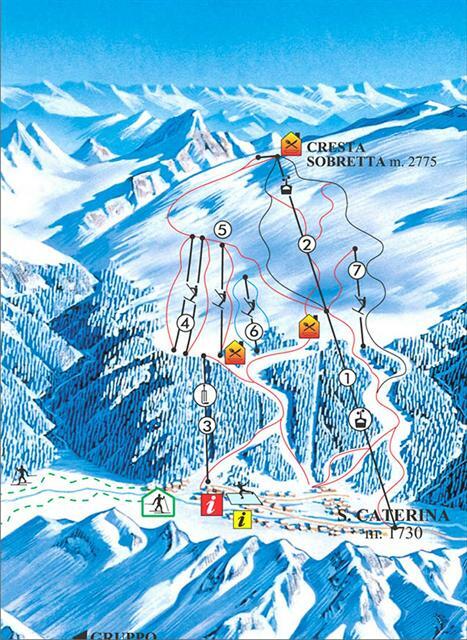 Santa Caterina Valfurva is a fifteen-minute drive from Bormio, and consists of 35 km of mainly of intermediate trails. 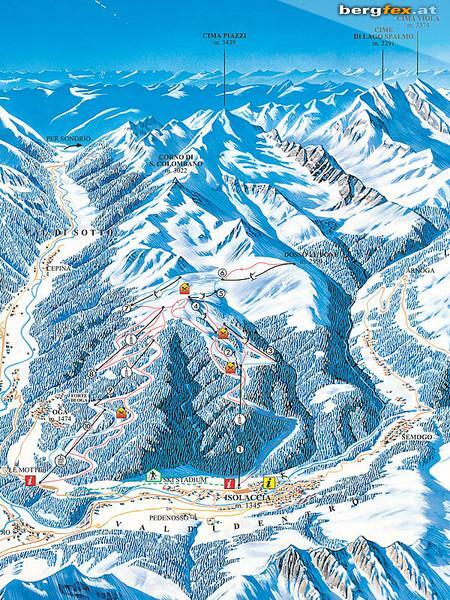 You can ski here at an altitude of 1700–2300 m, the ski runs are not too long, and the slopes are practically never crowded. This resort is ideal for novices and families with children, although in the home resort of the Italian Olympic champion Deborah Compagnoni there are also 6 km of black trails. Finally, approx. 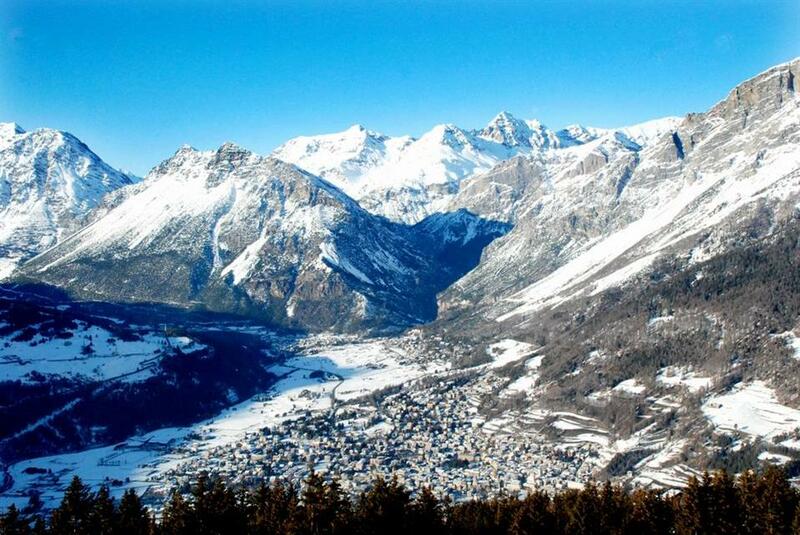 10 km from Bormio, in the direction of Livigno, there are 15 km of runs belonging to the Valdidentro resort (in Isolaccia). The Alta Valtellina region provides good conditions for classic skiing, for which there are several cross-country loop trails. The best conditions for this type of activity are in Santa Caterina, where there are 18 km of trails of varied difficulty. The Valtellina valley is almost entirely situated on the territory of Italy’s largest national park - Stelvio, which is the home of many endangered species of flora and fauna. This does not prevent the hosts from organizing tourism in a way that doesn’t harm nature and at the same time creating perfect conditions for winter sports. A few important villages of the region lie in the valley, it’s worth mentioning especially Bormio, Isolaccia and Santa Caterina. 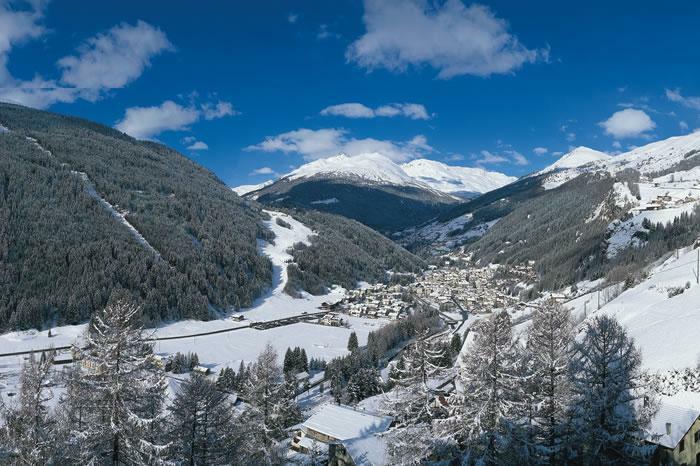 For skiers coming to the valley, the most interesting offer is provided by Bormio, which is situated at an altitude of 1225 m above sea level. It is a historic city with a charming medieval old town. 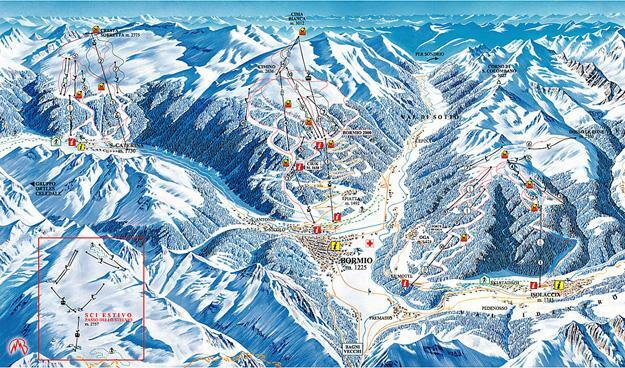 Due to easy access to the slopes and ski lifts, this is the area with the highest amount of tourists in the region. The nearby municipality of Isolaccia has a slightly smaller accommodation offer, but also has many fans. 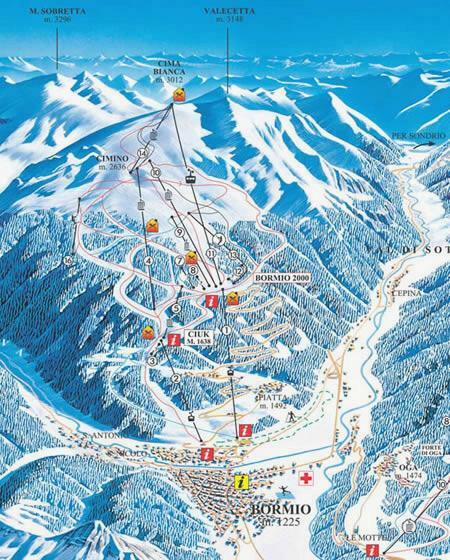 It’s a good base for skiing. po dwóch pobytach chciałbym zmienić ośrodek. Być może za dużo wyciągów orczykowych. Brak sklepów. Jeden słabo zaopatrzony, otwarty w ograniczonym zakresie. Great place for families with kids looking to learn.